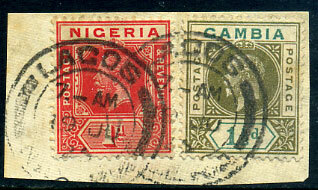 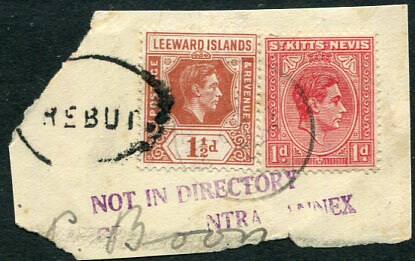 dated 19 JU 25 on Nigeria KGV 1d and Gambia KGV 1½d (presumed SG.110) piece. 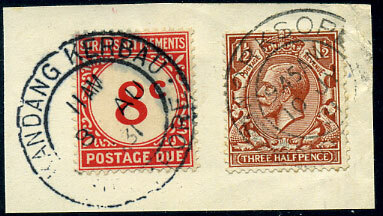 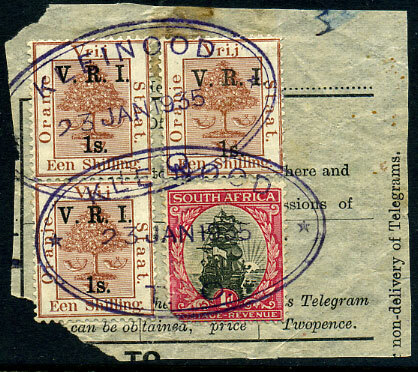 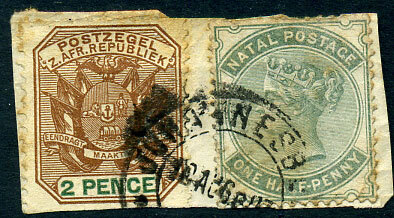 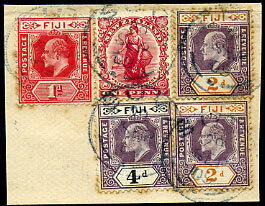 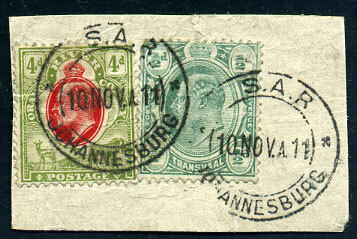 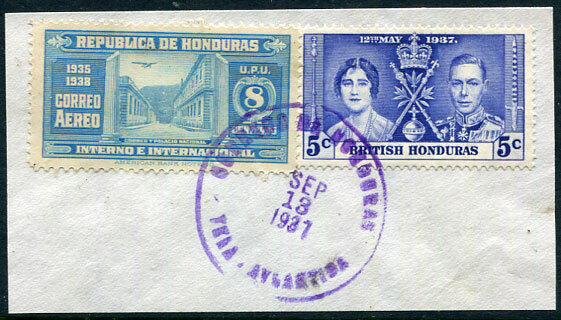 (D/R) dated 16 AUG 97 on Transvaal 2d (SG.218) and Natal QV ½d (SG.97a) piece, some soiling etc. 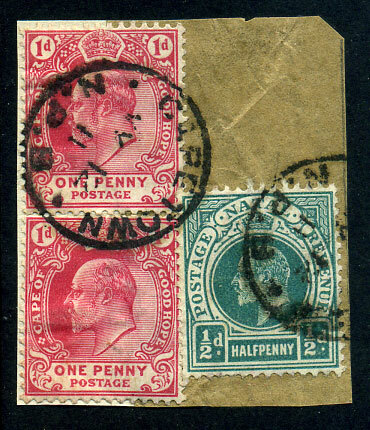 (CDS) dated MY 12 11 on combination 2 x CGH KE7 1d, Natal KE7 ½d piece.